This store bought costume for girls entered our 2012 Halloween Costume Contest. Kelsey, 10 years old, is wearing a baterina costume that is from Wal-Mart. 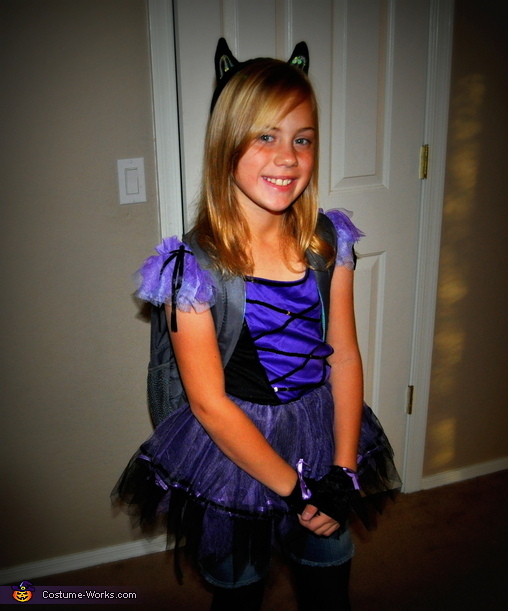 It is a bat inspired ballerina costume and is her favorite color, purple. She has bat ears and wings to add to the costume and is really cute.